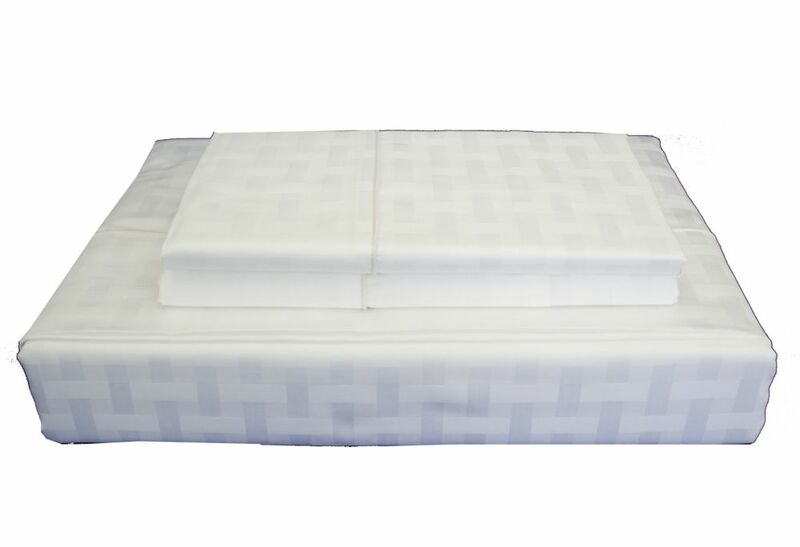 Sleep peacefully through the night when you add this sheet set to most hospital beds. The soft poly/cotton material will give you extra comfort. The gentle knit fabric will also improve circulation when you sleep. This set comes with matching fitted sheet, top sheet and pillow case. This set is machine washable. It is also made in the USA! 400TC Bamboo Sheet Set, White, Queen Bamboo Cotton - 400 thread count Egyptian Cotton set with dobby Bamboo pattern. Available in 5 fashionable colours.